Delivering another first in tanning, Cocoa Brown by Marissa Carter 1 hour dark tan instantly gives you a breath taking tan glow to your skin. When you apply, you will immediately see a dark Cocoa Brown instant colour on your skin that doesn't need to develop and can be worn out within minutes of application. 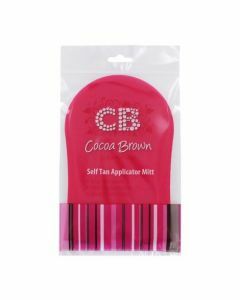 Apply Cocoa Brown 1 Hour Tan and colour appears instantly - get dressed and enjoy your night out! Next day, have shower and you'll be left with a light glow that lasts up to 5 days.